How Does Start Mail Work? 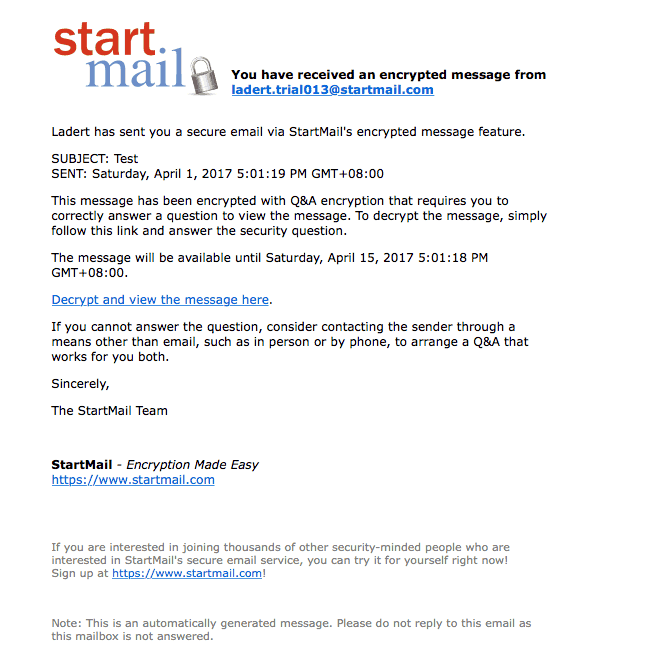 StartMail is one of the easiest and safest ways to ensure that your email conversations are well encrypted. The need for a secure and private email has been growing over time, due to the increase of online data threats. 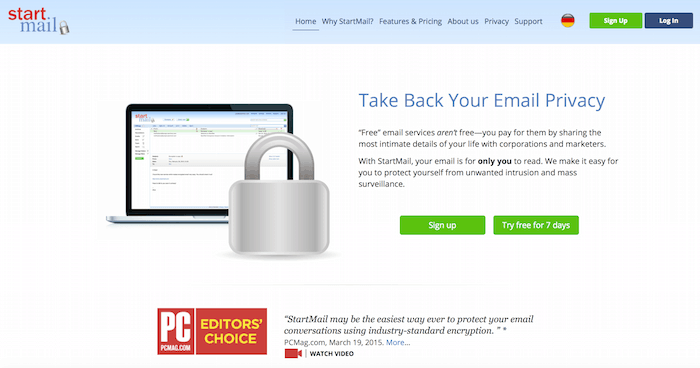 This has led to the emergence of StartMail, a service which provides you with the easiest, fastest and most secure way to send your email without fear of exposing your private data to third parties. 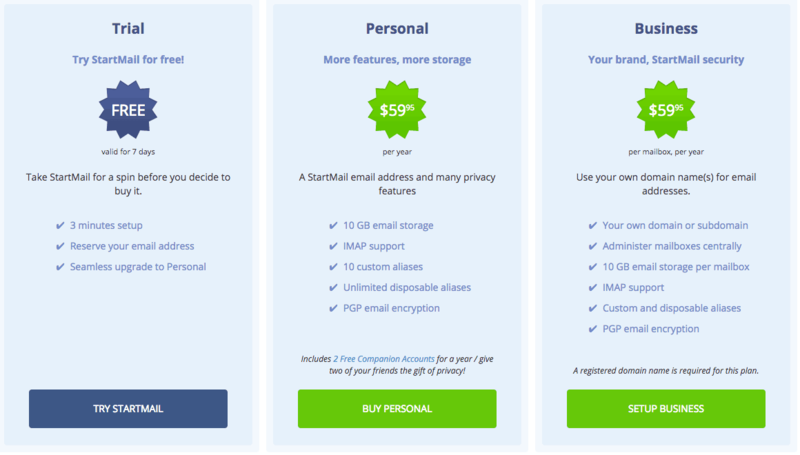 There are a number of free email services available, but StartMail believes that privacy is more worth than the amount of money you would pay for their secure service. Not only do they offer you secure email, but they also provide a secure search engine, to make sure that all your internet searches are safe. Start Mail offers you two packages to choose from, alongside a free 7 day trial. After your free trial expires, you can either upgrade to a Personal, or a Business plan. The two packages are priced the same at $59.95 a year, but they differ in what they offer. The above illustration clearly highlights the differences, so you can know whether to choose a Personal, or a Business plan. A key highlight of the two is the 10 GB email storage availed to you on subscription. Start Mail boasts quite a number of key features that can make you change from your free email service to their paid service. 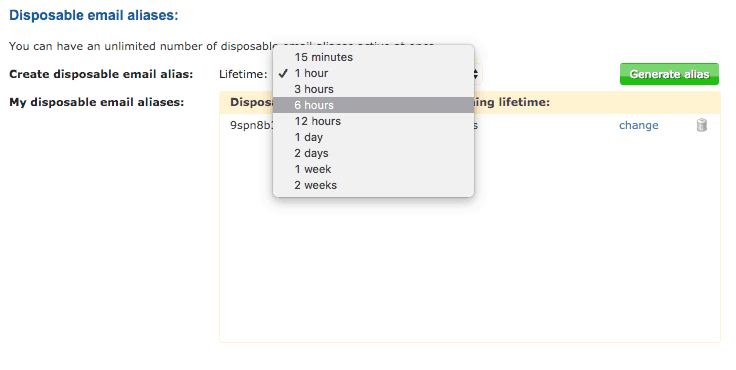 For example, they have a unique feature that lets you create up to 10 custom aliases and unlimited disposable aliases. These are alternative usernames that you can use when you do not want to display your valid username. One great thing that we liked about the service is that with IMAP, you can still connect Start Mail with your usual email client. Though a pretty reliable provider of email security, usability, and privacy, the service, however, comes with its fair share of strengths and weaknesses. Uses Q&A authentication send messages to any recipient. Enables a user to create disposable & custom aliases. There are no plug-ins available (plug-ins ease usage of the mail clients). Setting up Start Mail is an easy process. Click on the Sign-up Button on the home page. This will take you to the subscription page. On the Subscription page, you can choose the type of subscription you want to purchase. This can either be a Personal Package or the Business one. On the subscription order page, enter the number of orders. 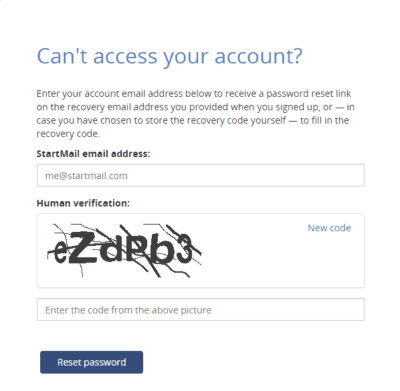 In case you forget your account password, Start Mail will prompt you to provide a recovery email address that should help you reset your password every time you lose it. Though strict with their security policies, Start Mail still offers another easy but secure way or recovering a lost password. This is done through a very long code that you can use when you need to reset your password. The password recovery feature is explained below. Start Mail also makes it possible for you to use companion accounts, a feature that is made available through sending invites. Though these accounts may be quite limited, Start Mail ensures that all communications with your target recipients remain secure. The use of these companion accounts also makes it possible to import contacts from Yahoo, Gmail, Thunderbird, Outlook and Apple Mail. The following are some of the features associated with companion accounts. From its design, you will be able to clearly see that SmartMail greatly focuses on client usability. The interface is made simple by not looking much different from regular client emails. Only the important features have been placed here, a move that significantly boosts usability. Immediately you set up your account, all StartMail features will be available to you. You can now start sending encrypted messages. What’s more, regardless of whether your recipients are using Start Mail or not, they can be able to view your messages. You can also be able to edit your message to whatever form you want and attach any documents you need. All your email services will be kept secure, and StartMail will never be in a position to meet the terms of a court order by submitting your messages or transmitted documents. After all, they don’t even have any access to the encrypted traffic of your messages. 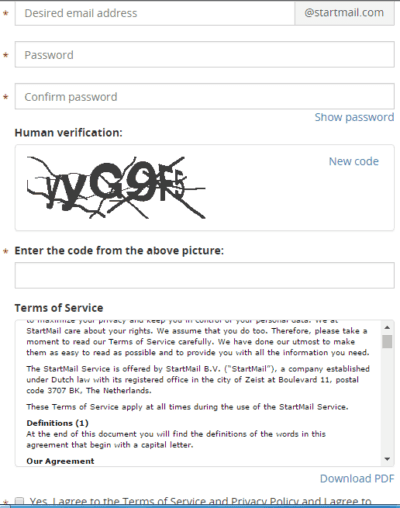 StartMail’s security is primarily based on question and answer. The sender will ask a question that only the recipient can answer. This means that if the answer to the question can be replied to by a number of people, then it is not safe enough. For example, if you ask a question like “What is my name?” a lot of people can know your name, making the message very insecure. Where it is necessary, the answer to the question used to encrypt the message can be delivered by the person or conveyed via phone. For every message that you will send, you will be required to set up a secret question that only the recipient is expected to answer. This, therefore, means that you are required to use an alternative method to send the answer to the recipient. If the secret question is not familiar to the recipient, he/she will not be able to access the message. An example of a question that can be used is “What is your favorite Movie?” This should be easy for the recipient to tackle. A few simple questions will work just fine for sending simple messages, but, where privacy is a big necessity, you might need to call for key cryptography. However, with StartMail, you don’t need much understanding of public & private key operations because the system makes it easy for you. All that is required of you is to specify a PGP password (usually different from your account password). Start Mail will then setup the needed public and private keys for you, and from there all your messages to StartMail users will be encrypted using PGP. This feature will be discussed in details later on in this StartMail review. When you send a message, the recipient will receive a link (‘Decrypt and View the Message’) along with the notification. Upon clicking the link, a secure page that requires the recipient to answer the secret question before proceeding will appear. This message has been encrypted by its sender. You can decrypt this message with the correct answer to the question below. Replying the message can only be done through the StartMail website. Your privacy here is enhanced by the fact that there is no evidence left for the existence of that communication. Since email security is the whole reason behind StartMail, they do everything to keep you safe and ensure that your messages remain private. For security purposes, they utilize the Question and Answer feature we explained earlier on, to authenticate your messages. This is alongside the PGP (Pretty Good Privacy) that is usually employed for other security needs. 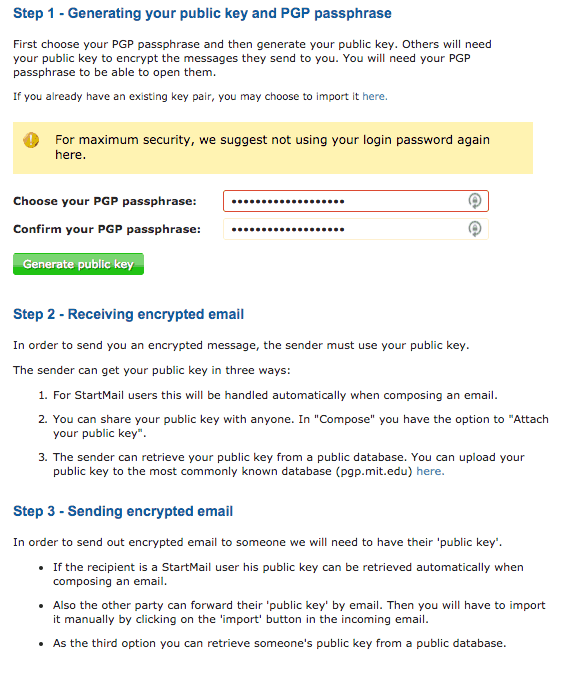 StartMail allows you to setup PGP public and private keys for your message encryption. With this, you can send and receive PGP messages from people who have PGP set up, even if they don’t own StartMail accounts. It is also very important to always use Q&A encryption for Start Mail non-users. 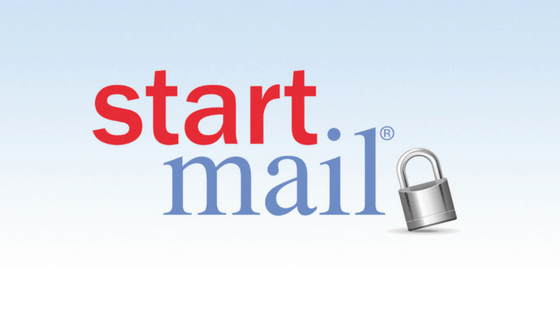 As mentioned earlier, StartMail utilizes PGP, a security system well known for its excellent security services. PGP is however not easy to use, a factor that has not helped in its popularity. 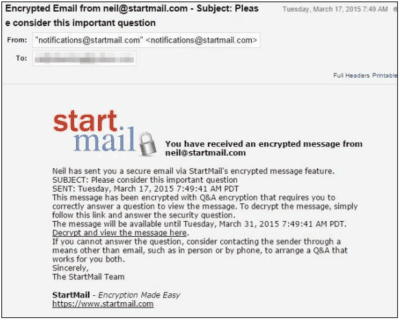 Start Mail tries to help by making PGP easier to use, and therefore simplifying their product. Setting up PGP involves creating the public key and private key pair. It might sound like a difficult job, but StartMail makes it very straightforward. These settings allow you to change details of your account and StartMail settings that affect your user experience, such as password, display name, recovery email address, time zone, and more. Scroll down to Mail Encryption. 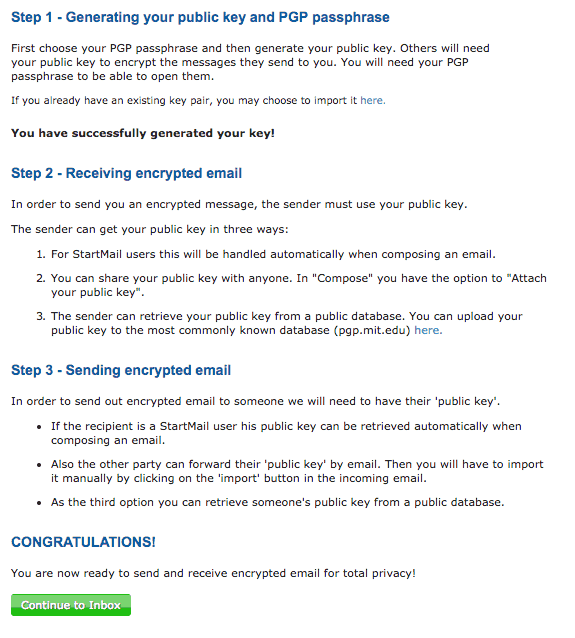 Configure PGP in three easy steps and start enjoying all privacy benefits. Select “Secret Question & Answer and PGP” and ensure that you confirm on the pop-up window. Enter the PGP passphrase. Note that the passphrase is case sensitive and may contain caps, lower case, spaces, and punctuations. I recommend you use a phrase, not a word. Make sure you remember the passphrase. Confirm the passphrase and click on “Generate public key.” The system will generate both public and private keys for you. 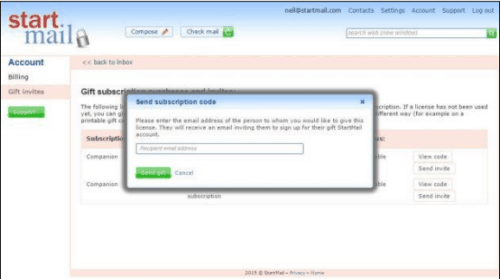 StartMail allows you to send PGP messages to both StartMail users and non-users. When sending a PGP Message to a StartMail user, the process is just a click as the software automatically encrypts all your messages if PGP is set up on both sides. 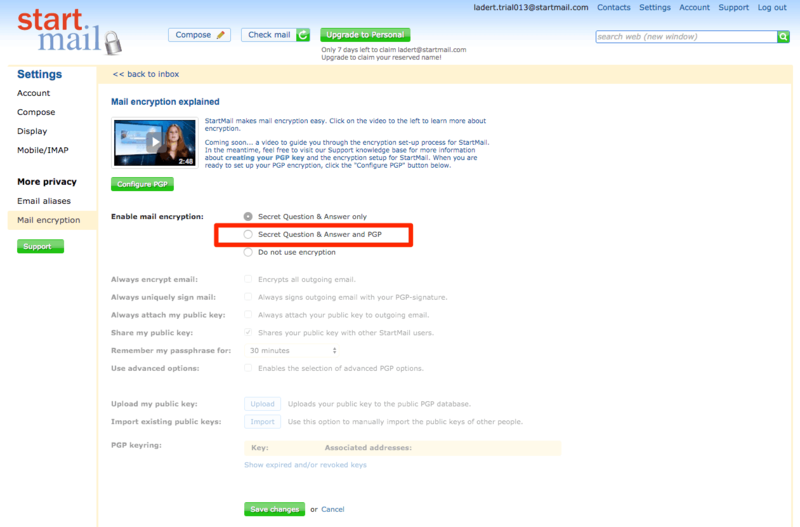 To know whether your recipient has set up PGP, you will have to look at the question answer box. If it does not show up, the recipient has PGP configured. For Start Mail non-users, you will need to get their public keys and import it to Start Mail. This procedure is repeated for all recipients. The recipients can either send you their public keys, or you can search them in a public key database e.g. PGP.MIT.edu. For people to send you encrypted messages, they may need your public key. 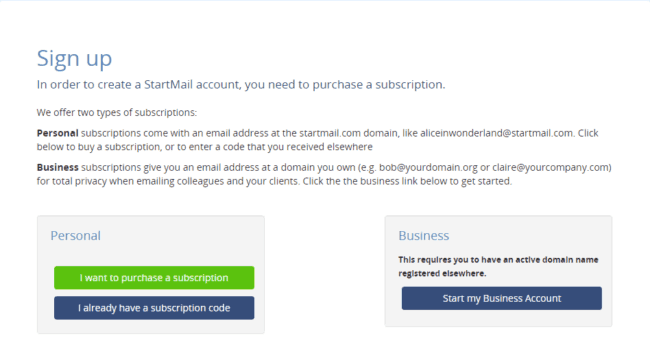 For StartMail users, the process is automatic but you will need to upload your public key to cater for the other users. Everyone you send a message will receive your public key. Most are the times when we don’t log out of our accounts, and we just close the browser. After all, it’s ‘my’ computer, we say. However, logging out is a sensitive issue when it comes to secure emails. When you log out of your StartMail account, the system automatically re-encrypts it. This renders it useless to intruders and other third parties. It’s advisable to make sure that you log out of your StartMail account, to promote your privacy. Disposable Email aliases are temporary email addresses that you may need to use for a while, to conceal your real username. StartMail allows you to set up a number of disposable emails and in accordance to your wants, you can choose when it vanishes. 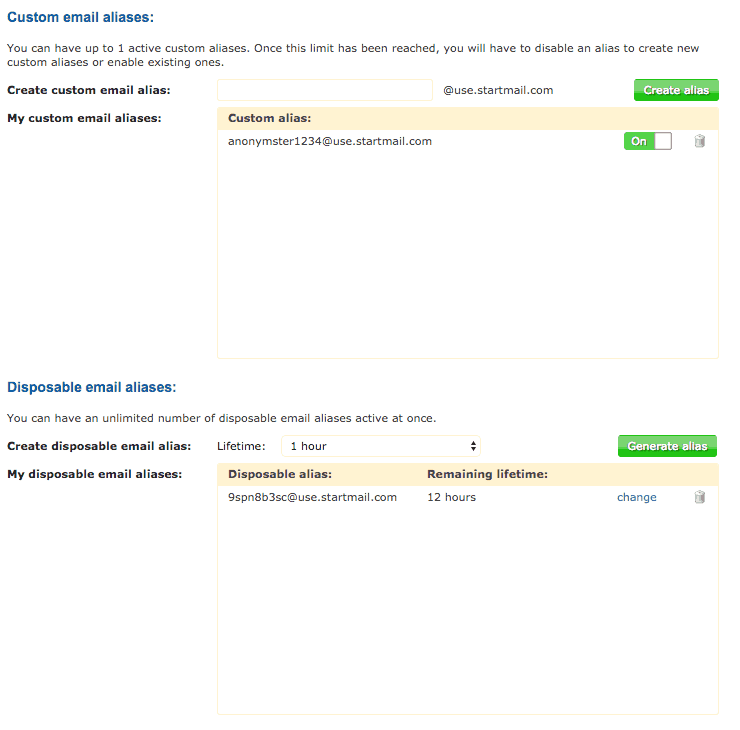 You can have an unlimited number of disposable email aliases active at once. IMAP (Internet Message Access Protocol) is a standard email protocol that stores email messages on a mail server, but allows the end user to view and manipulate the messages as though they were stored locally on the end user’s computing device(s). IMAP can directly access Start Mail messages. You can easily configure your account to work with IMAP. This will allow you to organize messages into folders, have multiple client applications, know which messages have been read, flag messages for urgency or follow-up and save draft messages on the server. To use it, you have to allow access and configure all your devices with the resultant instructions. It features the same technology used by mobile email apps, Outlook and Thunderbird. Different devices have their own specifications when linking to an IMAP email client, and thus generation of device passwords is necessary. When you are using multiple devices, you will have to enter the name and account (StartMail) password for every device, in order to acquire the device-specific password. The notifications on the recipient’s end are very limited. You can only know the sender, the details of the mail and a link to read the actual mail. If you want to set your StartMail to work in conjunction with another email program, you can configure it to send you an alert whenever new messages arrive in your Start Mail inbox. Pass in the email address where you would like to receive alerts. Indicate how often you want Start Mail to check for messages: hourly, daily, or weekly. The window that pops up allow you to compose the signature. This way you’ll easily create a personal signature that lists your contact details or a special message at the bottom of every email you compose. Start Mail allows you to save up to 5000 contacts. Though they can be imported to Start Mail through many ways, the easiest and most convenient way is saving them from your inbox. StartMail allows you to create multiple contact groups. With a contact group, you can be able to communicate with people you’ve added to the group all at once. For example, if you have a contact group of work colleagues, you can send them a universal job place update all at once. Login to Start Mail web browser. Click on Manage Groups (has a gear Icon). Enter the name of the group and click on create button. Sometime you may need to edit your contacts. To change info of the contact, highlight the contact by clicking on its row followed by EDIT. Alternatively, double click on the contact. StartMail provides a very convenient feature that saves the address of every mail you send or receive. These addresses are stored in a recipient list so you can easily access them every time you need to send an email. These addresses, however, do not contain many details. Once you configure your Start Mail account, it will come with two companion accounts. As the name suggests, these are simply accounts that you are given alongside you main account. They are meant to be a gift from you to two of your friends. Though limited, these accounts can still can send and receive secure messages. StartMail offers its clients excellent support. First, they have a detailed knowledge base that one can use to get any assistance in using the StartMail service. Apart from that, there is also a forum where you can share with other users, and you can also contact support for personalized help. Taking a closer look and experiencing StartMail surely makes you think that going for something free is not worth sacrificing your privacy. With this service, you will no longer have to worry about your privacy when sending emails. Why won’t you just go for Gmail, Yahoo etc. after all they are free? Privacy is the answer. Don’t let these internet giants filter your messages for keywords to target you with ads, which also creates a loophole for malicious-willed people. Start using StartMail’s industry-standard email encryption with ease and freely send your business prototypes, monetary statistics and even payment details without worrying about snooping third parties. 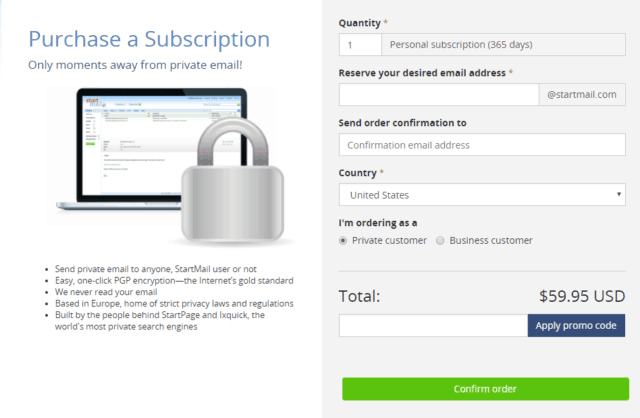 Though StartMail will see you part with $59.95 a year, in return, you will get the most secure mailing experience. material. Wonderful ｒead! I’νe bookmarked your site and I’m including your RSS feeds to my Google account.